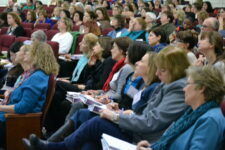 The ResearchILD 34th Annual Learning Differences Conference is just six weeks away! We hope you can join us on March 22–23 to explore the importance of executive function strategies in mediating stress and fostering persistence and resilience in students as they navigate the many school challenges. This year’s presentations will focus on innovative research and the implications for effective clinical practice and classroom teaching from kindergarten into high school and the college years. Some of our featured speakers include Lynn Meltzer, Ph.D; Thomas E. Brown, Ph.D.; Kelly B. Cartwright, Ph.D.; Joan Sedita, Ph.D.; and Michelle Garcia Winner, SLP, MA-CC. Space is filling quickly so register here to join us. And be sure to follow #LDC34 on Twitter for conference updates. We look forward to seeing you on March 22 and 23!